Yokogawa Electric Corporation has announced the release of version R4.01 of its Plant Resource Manager (PRM®) software tool for centrally managing large amounts of data from plant monitoring and control devices as well as manufacturing equipment. 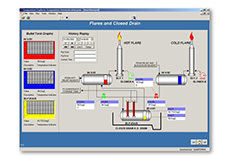 Manufacturers are constantly looking for ways to improve maintenance efficiency by using software tools such as PRM that can centrally manage large amounts of maintenance information, and other types of data, from plant monitoring and control devices, to manufacturing equipment, and to quickly identify device failures that could interfere with the safe operation of plants. To better meet such needs, Yokogawa has reinforced the functions of PRM. A function for the reporting of key performance indicators (KPI) on field assets has been added to R4.01. With this function, PRM is able to create and display the following three KPIs: (1) overall device effectiveness (ODE), the percentage of time that devices operate normally (without alarms or events); (2) time availability (TA), the percentage of time that devices communicate normally with PRM; and (3) performance availability (PA), the percentage of time that devices operate and communicate normally with PRM. While the previous PRM release only provided information on individual devices, R4.01 has the added ability to display statistics on the operating status of all the devices in a plant. Thus, PRM R4.01 can help operators detect potential device problems, identify and analyse failure causes, and determine maintenance priorities. These KPIs can also be referred to when planning a maintenance schedule. A template function for the setting of device parameters has been added to R4.01. Once parameters are set using this function, the template can be downloaded to multiple devices. This makes it easy to apply parameters to devices. When replacing one or more devices, their template can be used on the new device(s), or another template with different parameters that has been prepared in advance can be used. 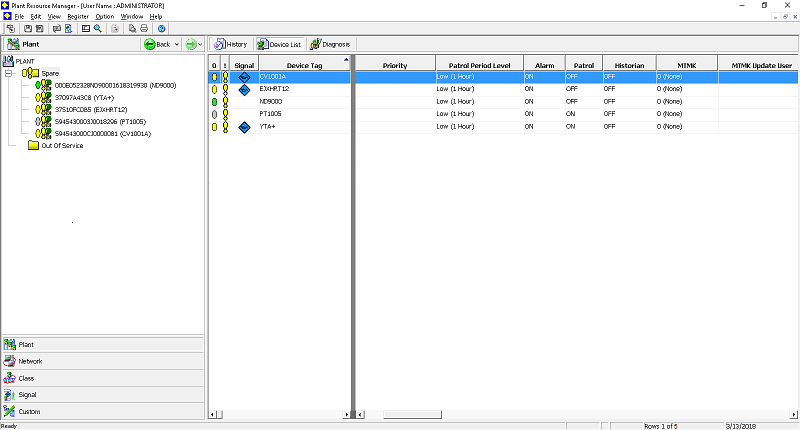 By making it easy to reset parameters, this function allows the immediate start up and use of the new device(s). PRM is a software package that centrally manages large amounts of status and maintenance information from plant monitoring and control devices and manufacturing equipment. PRM supports major field digital communication protocols (FOUNDATIONTM fieldbus, HART®, ISA100 WirelessTM, and PROFIBUS) and can be used for devices and diagnosis and adjustment software tools from other manufacturers. PRM includes various maintenance support functions, including online functions for monitoring and diagnosing devices and equipment. 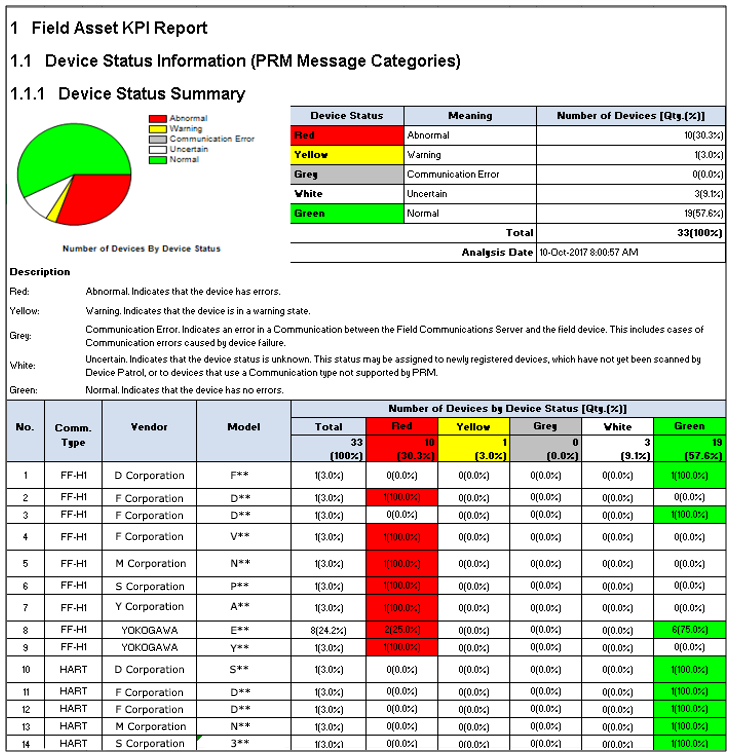 PRM can work with the FieldMate® device management software for setting, adjusting, and managing field devices. Through FieldMate, the current device information stored in PRM can be checked in the field. For improved access to maintenance information, the PRM device information can also be accessed from any human interface station (HIS) linked to the CENTUM® VP integrated production control system. Industries such as oil and gas, petrochemicals, chemicals, iron and steel, pulp and paper, electric power, and wastewater treatment. Field device maintenance and start up, plant operation support.